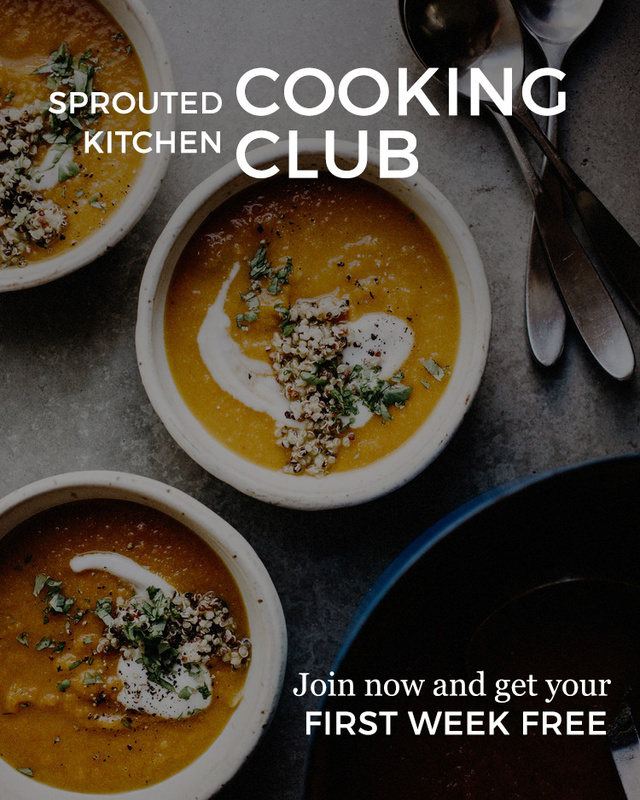 If you're looking for a last minute gift idea, or you're just in the modd to share Cooking Club, gift subscriptions are available in 6-month and 12-month incriments. Use the button below to share the love! We also just added canvas Sprouted Kitchen tote bags to the shop. It’s tough to find a vegetarian taco that is not bean based, so I’ve been excited to try these from the Pinch of Yum site. They have some really great dinner ideas. I used a little less walnuts, salt (personal taste) and chipotle than she calls for to keep them more kid-friendly. We’re adding a few slices of mango in there instead of making a pineapple salsa for simplicities sake, but follow the link if you want to make her salsa. make ahead: The chorizo can be made in advance and reheated. use it twice: You will likely have some leftover “chorizo”, make a taco salad with it, also great in an omelette or breakfast tacos. kid friendly: calming down the chipotle as I did here, should make it tolerable for little ones. I put it in a burrito with some refried black beans and cheese. carnivore addition: Suppose you could use ground meat and cook it on the stove. low carb: Skip the tortillas and make it into a salad. Line a rimmed baking sheet with parchment paper and preheat the oven to 375’. Pulse all of the ingredients together in a food processor until coarse crumbs. It should resemble ground meat. You may need to use a spoon to move things around, as we want a coarse meal, NOT walnut butter. Transfer the mixture to the baking sheet and spread it in an even layer. Bake for 30 minutes, stirring halfway through. Remove, stir again, set aside. Warm your tortilla. 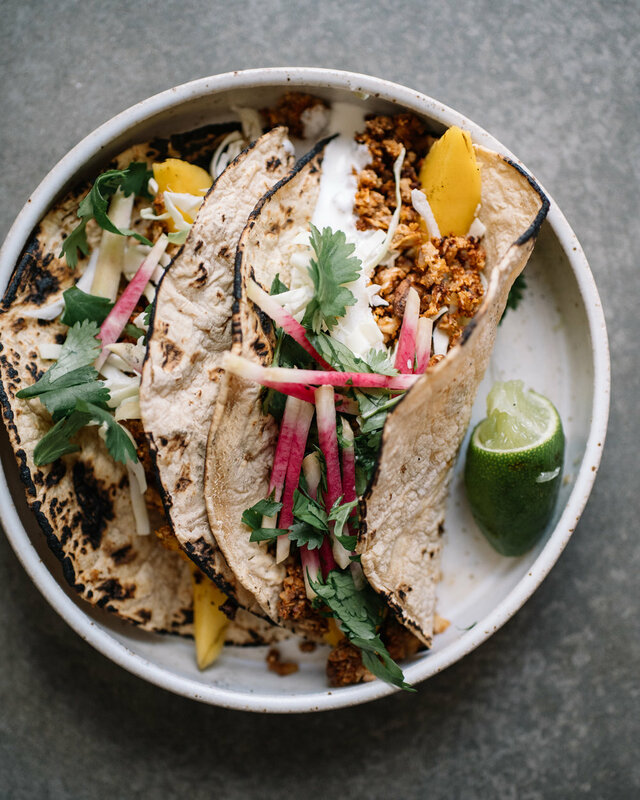 Smash some avocado on the bottom, a scoop of the chorizo, a few slices of mango, shredded cabbage cilantro. Thin the sour cream with a bit of lime juice and drizzle it as a sauce. Repeat. Enjoy! I kept these basic, and assume you all can add in to your preference. White beans, sausages, whatever. I made a few notes below. This should make a bit more pesto that you need (depending on the size of your bushel of kale). We’re planning to use this as a flatbread spread too, so we need extra. Double up if you like something like this on hand for eggs, a sandwich spread, simple pastas etc. make ahead: The kale pesto can be made a few days in advance. The spaghetti squash can be roasted, and rewarmed. Use It Twice: Double the pesto and use it for the flatbread recipe this week, or just keep it on hand for dipping or dressing. kid friendly: The squash boat presentation is a turn off for mine. I just cut up the shreds a bit and mix it up with some chicken sausages. carnivore addition: I’ll top this with my lazy bolognese (ground turkey, browned, warmed with a jar of marinara). Meatballs or chicken sausage on the side work too! dairy free: Skip the parmesan and add a bit more pine nuts to the pesto. Preheat the oven to 375’. Put the squash face down on a rimmed baking sheet (lined with parchment for easy clean up) and prick them a few times with a fork. Bake for 25-30 minutes until tender. Remove to cool to the touch. Remove the seeds, and use a fork to loosen the strands of the squash, but keeping most in the squash boat. Repeat with each squash. While the squash roasts, make the pesto. Blanch the kale for just 20 seconds and rinse under cool water to stop the cooking. Drain well and squeeze out the excess water. Put the kale in a food processor along with the garlic, lemon juice, pine nuts and salt. Give it a few pulses. With the motor going, drizzle in the olive oil and then pulse in the parmesan cheese. Add water, a tablespoon at a time, to loosen. Pesto can be stored in the fridge for up to a week. Stir two generous dollops of pesto in with the squash, utilizing the squash as it’s own “bowl”. If you are going to add cooked sausage, add it in here. Turn the oven heat up to 450’. Top with a little extra mozzarella and parmesan cheese, and pop it back in the oven until the top is melty and just browned - about 5 minutes. Garnish the top with fresh parsley or maybe some arugula if you want a fresh bit on top, and enjoy warm. Use the leftover kale pesto from the squash boats. Go ahead and make it even if you’re not making the squash - it’s great mixed with noodles, eggs, as a sandwich spread etc. Alternatively, you can use a store-bought pesto. If you are a Trader Joes shopper, there are some newish prepared flatbreads near the fresh bread to build on, and the frozen section has a few gluten-free crusts. If you use their pizza dough, you’ll want to roll and bake it most of the way before you pile the toppings, as it will only be in the oven for a short bit to just warm things through. make ahead: the kale pesto and roasted squash cubes can be made days in advance and kept covered in the fridge. use it twice: Keep the components in the fridge to put on a green salad or make another flatbread! The kale pesto can be thinned with lemon as a salad dressing for hearty greens. All of these bits can be made on toast just as easily. kid friendly: Skip the onion and arugula garnishes. carnivore addition: crumbled, cooked sausage. 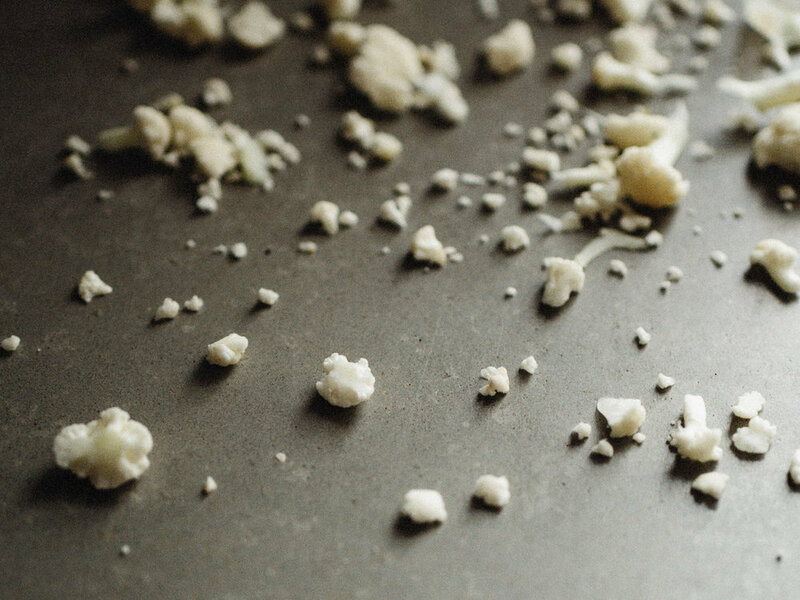 dairy free: Sub a dairy-free cheese in for the mozzarella and fontina. low carb: This should work on a cauliflower based crust - such as Caulipower. Preheat the oven to 400’. On a rimmed baking sheet, toss the squash in the oil salt and pepper, and roast for 20 minutes until the edges are just browned and the squash is tender but not mushy. Set aside. Turn the heat up to 475’. Prepare your flatbread crusts (if using a prepared product, note the instructions if you need to bake them in advance. Do so if using a raw pizza dough). Give it a generous spread of the kale pesto. Distribute some of the roasted squash around, torn mozzarella and the fontina. Pop it in the oven for 10 minutes just for the flatbread to warm up and the cheese to bubble and brown. Pull it from the oven to cool down slightly, sprinkle some shaved onion and arugula on top. Serve warm. While this is pretty easy to make a pot of each time, having the dry mix ready to go, means homemade cocoa in 5 minutes. If you are looking for a more natural sugar, you can use coconut sugar or maple syrup. The latter will leave you with a thicker syrup situation, and you’ll want to keep that stored in a jar in the fridge. Put the cocoa, powdered sugar, cornstarch, vanilla, salt and chopped chocolate in a food processor. Run it until mostly smooth, a few chunks of chocolate are fine. You could just stir in by hand in a large bowl too, totes fine. Store in an airtight jar until needed or gift it! To make, warm 1 cup of whole milk or non-dairy milk of choice, and 3 Tbsp. cocoa mix in a pot on the stove. Whisk until the chocolate is melted and smooth and your cocoa is warmed through. Add a dash of peppermint extract if you like it a little bit minty.